(French: Le Festival International du Film de Cannes or just Festival de Cannes), is an annual film festival held in Cannes, South of France, which previews new films of all genres including documentaries from around the world. Founded in 1946, it is the world’s most prestigious and publicized film festival. The invitation-only festival is held annually at the Palais des Festivals et des Congrès. 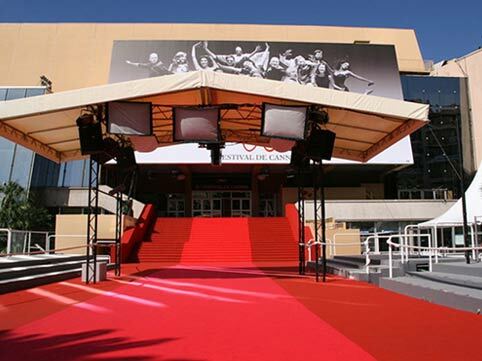 The 2013 Cannes Film Festival will take place from May 15 to May 26, 2013. The Official Selection – The main event of the festival. In Competition – The twenty films competing for the Palme d’Or. They are projected in the Théâtre Lumière. Un Certain Regard – Twenty films selected from cultures near and far; original and different works. They are projected at the Salle Debussy. Out of Competition – These films are also projected in the Théâtre Lumière but do not compete for the main prize. Special Screenings – The selection committee chooses for these films an environment specially adapted to their particular identity. Cinéfondation – About fifteen shorts and medium-length motion pictures from film schools over the world are presented at the Salle Buñuel. Short Films – The shorts competing for the Short Film Palme d’Or are presented at the Buñuel and Debussy theatres. There are approximately 10 films in this competition. Parallel Sections – These are non-competitive programmes dedicated to discovering other aspects of cinema. Cannes Classics – It celebrates the heritage of film, aiming to highlight works of the past, presented with brand new or restored prints. Tous les Cinémas du Monde – It showcases the vitality and diversity of cinema across the world. Each day, one country is invited to present a range of features and shorts in celebration of its unique culture, identity and recent film works. Caméra d’Or – It rewards the best first film of the Festival, choosing among the debutants’ works among the Official Selection, the Directors’ Fortnight and the International Critics’ Week selections. Cinéma de la Plage – Screening of Cannes Classics and Out of Competition films for the mass public on Macé beach, preceded by a programme dedicated to film music. Other Sections – Produced by outside organizations during the Cannes Festival. Directors’ Fortnight - From 1969, it cast its lot with the avant-garde, even as it created a breeding ground where the Cannes Festival would regularly find its prestigious auteurs. Marché du Film – The busiest movie market of the world. Masterclasses – Given in public by world renowned filmmakers. Tributes – Honors internationally renowned artists with the presentation of the Festival Trophee following the screening of one of their films. Producers Network – An opportunity to make international co-productions. Exhibitions – Each year, an artist, a body of work or a cinematographic theme becomes the focus of an exhibition that diversifies or illustrates the event’s programme. 60th Anniversary – Events organised in 2007 dedicated to the 60th anniversary of the Festival. The most prestigious award given out at Cannes is the Palme d’Or (“Golden Palm”) for the best film. Taking over the reins from the Italian Nanni Moretti, American director and producer Steven Spielberg agrees to head up the jury this year. 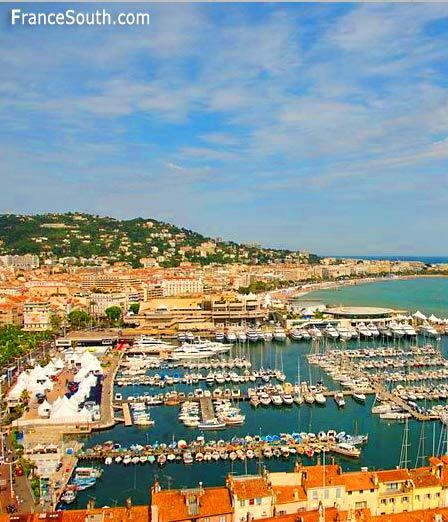 The 66th Festival de Cannes promises to be an exciting one!